Discover the scenery and historic sights close to the River Yonne and Nivernais canal on this seven-night hotel stay and day-cruise combo. Discover river cruising with a difference… Our new holidays offer six day-cruises on the backwaters of France and included excursions on most afternoons, during a seven-night stay in a welcoming hotel. After breakfast at your hotel, make yourself at home on your ‘floating lounge’, the brand new day-cruiser ‘Natalia’ and admire the passing scenery as you cruise the smaller canals and rivers of France. A light lunch of local specialities will be delivered to the ship each day to enjoy with local wine as you cruise. Most afternoons your coach will pick you up for an excursion to one of the region’s many sites of interest, then return you to your hotel for dinner. Magnifique! Travel by coach from Folkestone to Vermenton via Eurotunnel or ferry. Arrive at the Logis St Francois Hotel (4Q) where you’ll stay for the next seven nights. Meet the jazz quartet who will accompany your cruises – the JB Jazz and Blues Band – and enjoy a welcome drink and dinner at the hotel tonight. Look forward to the band leader, John Beckingham, giving two jazz-related talks at the hotel during the week. After breakfast, board your coach and travel to Clamercy where you’ll embark your smart new day cruiser, Natalia. Settle down and make yourself comfortable in the spacious lounge or on the outside viewing deck as you take a leisurely cruise along the Nivernais Canal to Coulanges. Enjoy two sessions of live jazz from the JB Jazz and Blues Band, before and after morning coffee. You’ll arrive early afternoon and moor here while a light lunch of local specialities is served on board along with a glass of local wine. Afterwards, you’ll board your coach again for an included excursion to the attractive Renaissance town of Vézelay set on a steep hillside. You’ll visit the UNESCO-listed Romanesque Basilica of St Mary Magdalene, which has made the town a starting point for pilgrims en route for Santiago de Compostela. Return by coach to your hotel with some free time to relax before your dinner here tonight. This morning you’ll board your coach for an included excursion to the attractive Renaissance town of Vézelay set on a steep hillside. You’ll visit the UNESCO-listed Romanesque Basilica of St Mary Magdalene, which has made the town a starting point for pilgrims en route for Santiago de Compostela. Enjoy a picnic lunch here then travel back to Coulanges and board Natalia for a leisurely afternoon cruise to Chatel Censoir to the sound of the JB Jazz and Blues Band. Disembark and return by coach to your hotel for dinner and an evening at leisure. 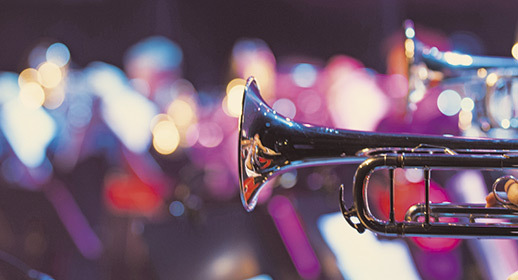 Depart by coach for Chatel Censoir where you’ll join your cruiser for a morning of jazz and sailing. Enjoy lunch on board at Mailly before your excursion by coach to the building site of Guédelon Castle. In 1998, this building was started as an attempt to replicate the construction of a medieval castle by traditional methods, with a team of masons, carpenters and craftsmen using the wood, stone and clay available close to the site. It’s not expected to be completed until at least 2023. Return to your hotel for dinner. After breakfast you’ll travel to Mailly-le-Chateau and board Natalia for a morning of cruising, accompanied by live jazz. You’ll pause for your picnic or barbecue lunch at a lockside cafe at Ecluse Dames, then cruise to Prégilbert, arriving early afternoon. From here you’ll visit the prehistoric Caves d’Arcy, small limestone caves carved out by the River Cure and used by Stone Age man. Artefacts discovered here include both animal and human bones, flint tools and shards of pottery. Wall paintings of bears, mammoths and ibexes and hand prints, believed to be from the middle and late Palaeolithic period, and the second-oldest in the world, have also been discovered here. Afterwards, you’ll return to your hotel for dinner. This morning your coach will return you to Prégilbert for your morning jazz cruise to Vincelles where lunch will be served on board. This afternoon, your excursion is to Chablis for a vineyard tour and tasting. Enjoy dinner and a relaxing evening back at your hotel. Travel to Vincelles after breakfast and board Natalia for your last morning of cruising, back to Vermenton, to the sound of the JB Jazz and Blues Band. Alternatively, there’s an optional excursion this morning to the vineyard, Caves de Bailly. The village of Bailly, just outside the Champagne region, is famous for producing the AOC Crémant de Bourgogne sparkling wine. The wine is matured for a minimum of two years in stone cellars 50 metres underground, in a huge former limestone quarry dating back to the 12th century. This afternoon an optional excursion visits the historic city of Auxerre, famous for the abbey of St Germaine with its remarkable octagonal spire, and the Gothic St Stephen’s cathedral. Built between the 11th and 16th centuries it has beautiful stained glass windows. Excursion participants return by coach to the hotel and enjoy dinner here tonight. Check out after breakfast and board your coach for your return journey. You’ll pause for a while in Reims where you can buy yourself lunch, before setting off again to the UK via Eurotunnel or ferry.